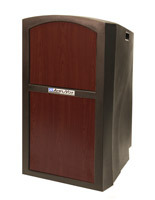 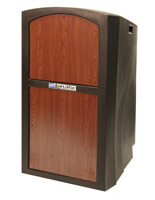 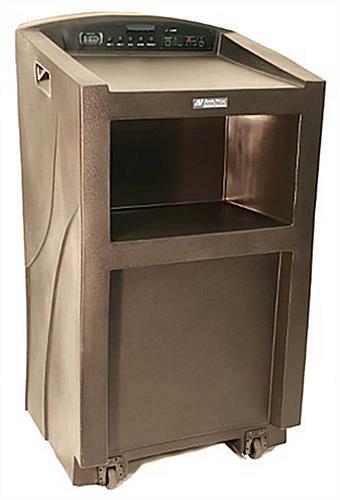 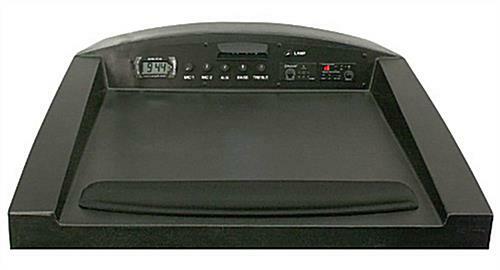 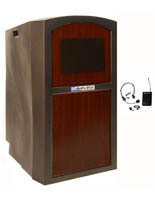 This wireless outdoor lectern podium is designed for use in almost any environment or facility. 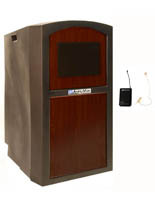 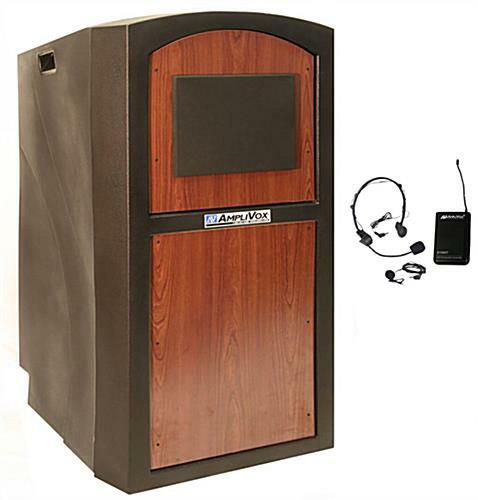 Each 47" tall portable speaking stand features a weather and waterproof shell made of durable black finish polyethylene with a cherry finish front insert. This wheeled outdoor lectern podium has built-in handles for ease of movement, and includes an integrated Bluetooth-enabled over-the-ear mic, two speakers, a 16-channel receiver with digital control panel, and 150-watt amp. 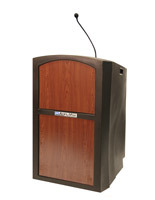 This speaker's stand is easy to move whenever needed, making it a great choice for facilities, organizations, and businesses that need portable presentation furniture. 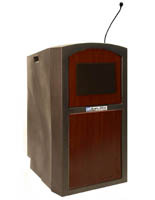 This Bluetooth lectern podium's waterproof exterior shell includes a built-in rear shelf for storing accessories, reading material, or personal effects during speeches, sermons, conferences, debates, or presentations. 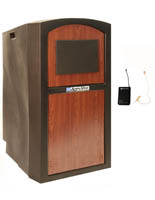 This type of portable multimedia-friendly wireless speaking fixture offers many usability features as well as a classic look, making it a great choice for any commercial businesses, lay or religious organization, association, or facility.